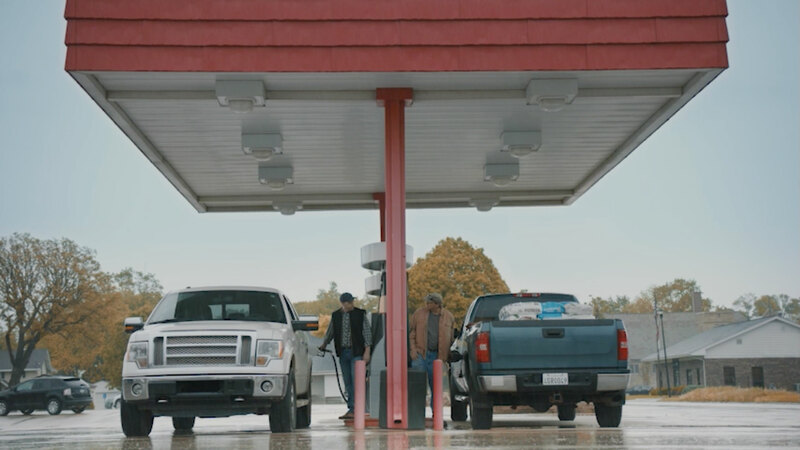 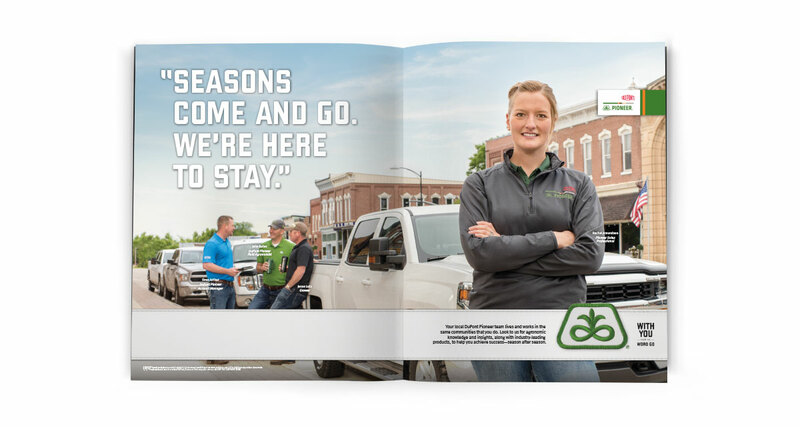 Taking on one of the major brands in agriculture doesn’t seem like a typical move for an agency specializing in data-driven communications, but when the opportunity presented itself, we jumped at it. 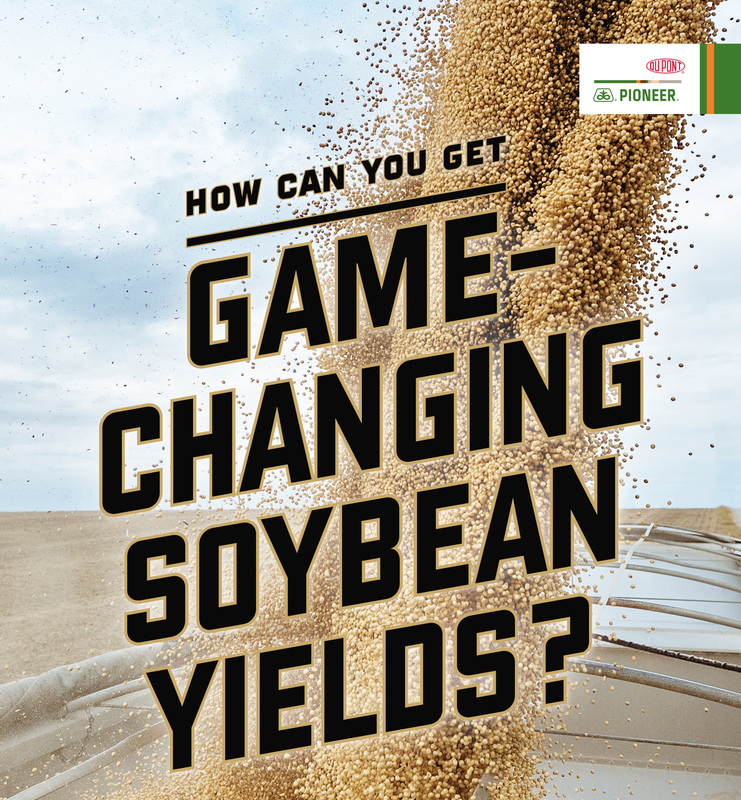 In addition to a large body of award-winning work around a mass-media campaign themed “With You From The Word Go,” we helped DuPont Pioneer consolidate data, use segmentation to communicate to growers more effectively and start to use all the tools of Modern Marketing to communicate on a one-to-one basis with a very well-defined audience. 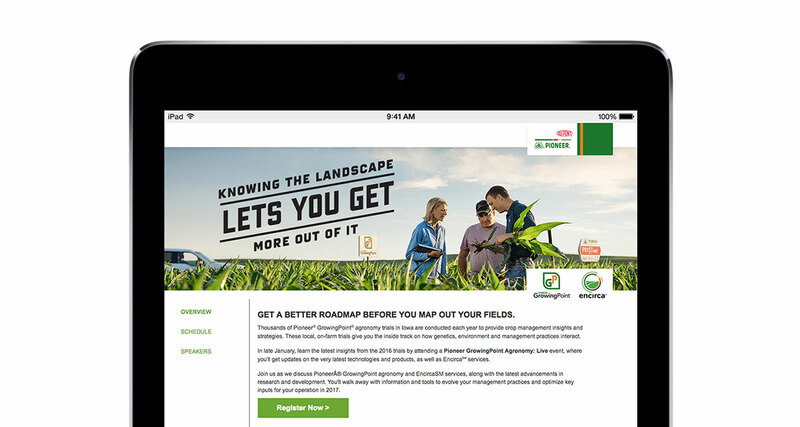 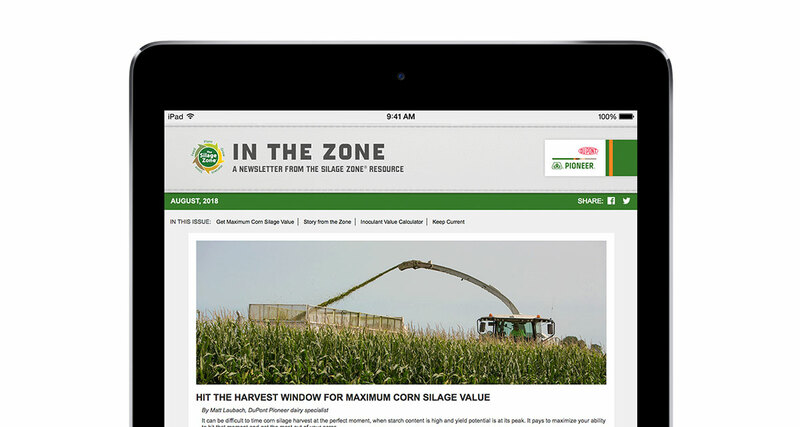 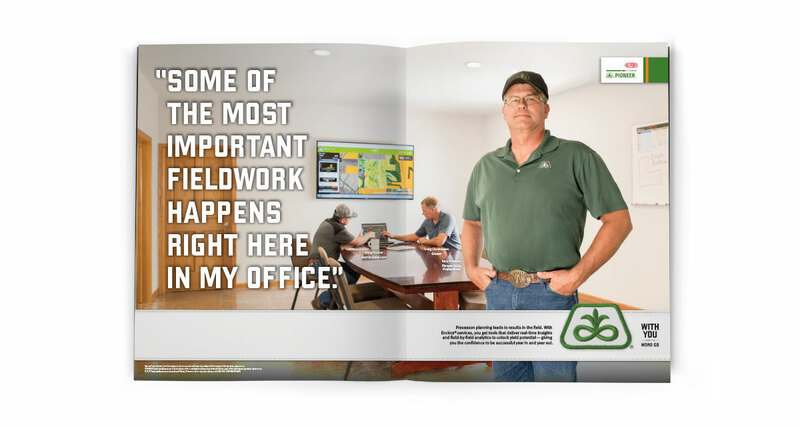 One example is our successful Walking Your Fields® newsletter email test which saw increased engagement metrics over prior years through the use of more targeted and personalized content. 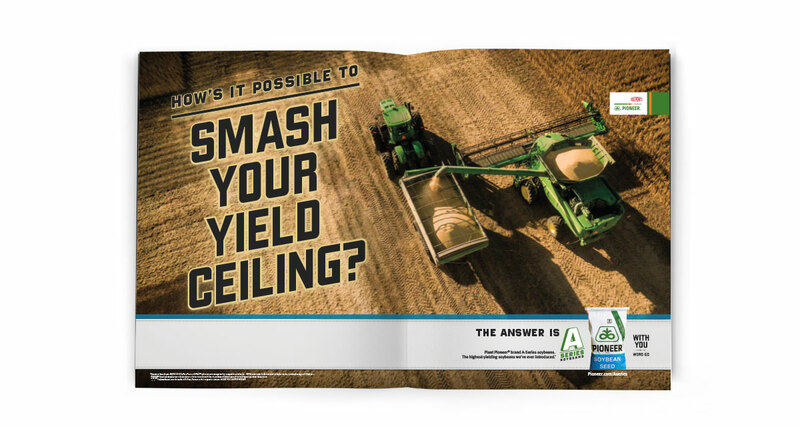 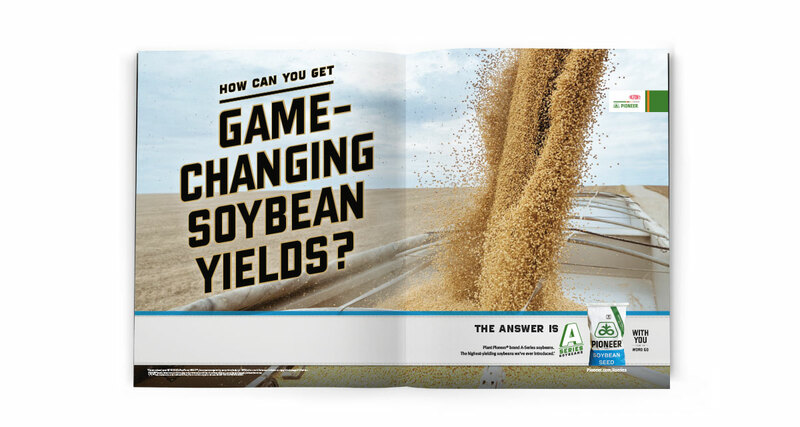 Creating brand awareness for the launch of new A-Series soybeans was critical. 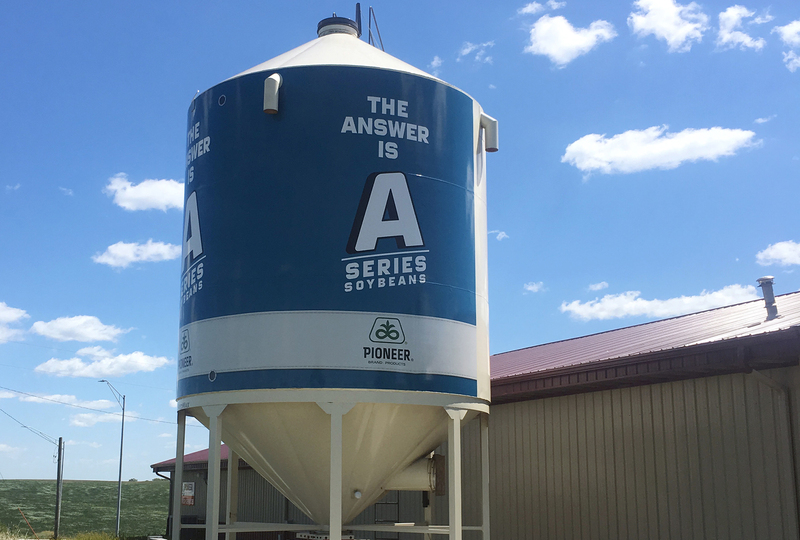 We created a story where the name of the product was revealed as a daily salutation and the right answer to every important question. 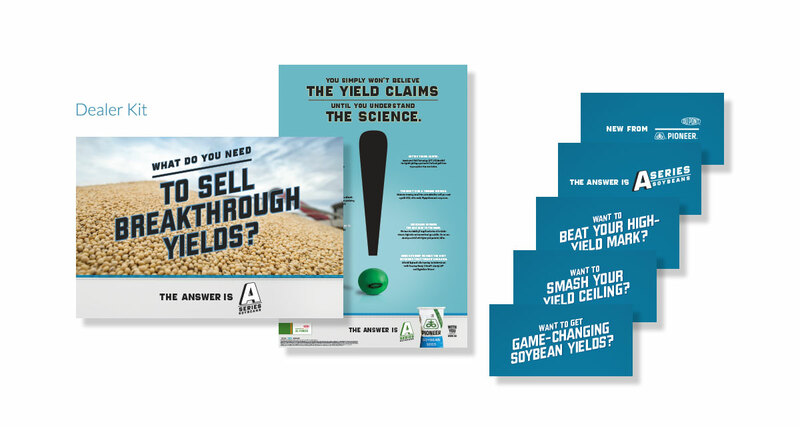 With awareness scores going through the roof, this became one of the most successful campaigns in company history.